This popular series of publications features people working in different jobs, professions and careers. The guides are well researched and attractively presented in a style that is accessible to young people. 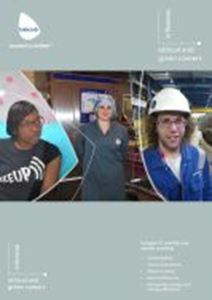 They contain real-life case studies and colourful photographs which present a wide range of jobs in each sector and include information ranging from what the job is really like to typical earnings. All the information is presented in bite-sized, manageable sections.